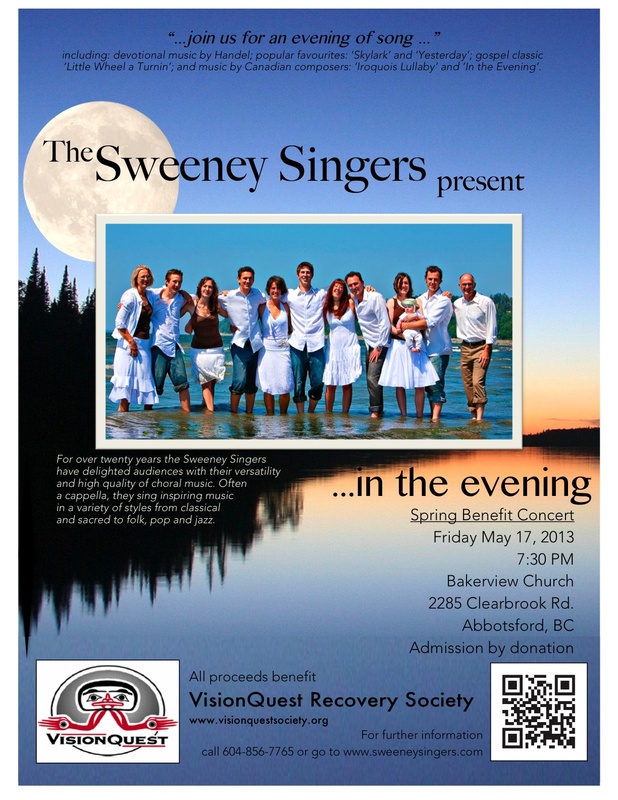 Spring Benefit Concert "In the Evening"
Join us once again for our annual spring benefit concert. This concert pays special attention to songs that are perfect for a warm spring evening, featuring popular favourites like "Skylark", Beatles tune "Yesterday", and Canadian choral pieces, "Iroquois Lullaby" and "In the Evening". As always there will be an array of different styles and genres of music, with gospel, classical, and folk rounding out the program. Please come out to support this worthy cause and enjoy music that perfectly compliments an evening sunset.